The grapes Nero D'Avola (100%) are grown at 50 metres above sea level on the Baroni Estate in Noto. Only perfect grapes are picked at the correct time of maturation. Intense nose of fine quality, characterized by a typical aroma of black cherry mixed with rose petals. 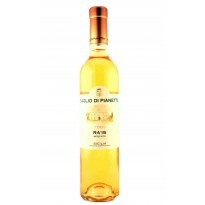 The taste remains a soft and balanced wine, with good intensity and a persistent finish. Overall, this is a wine with good body and good harmony that expresses the particular characteristics of the grape from which it is derived.